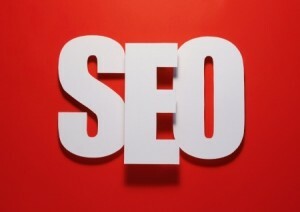 The task of focusing on local SEO is in many respects the same as focusing on SEO at-large. Where the two differ is of great importance, as it can make the difference between brands that reach a mile wide and an inch deep, and vice-versa. You have a much smaller audience to cater to when focusing on local SEO – which is good in many respects – but it means that you have to do what you’re doing at a granular level with even fewer imperfections. Even if you have a pre-existing local SEO effort that’s delivering results, you want to be sure it’s delivering maximum benefit: we’ll review some straightforward tips that can push your baseline local SEO performance to the max starting today. Businesses that operate in the physical realm – or even those that merely offer toll-free phone numbers for support – should understand the value that is NAP. Short for “Name, Address, Phone”, this crucial bit of information can make the difference between local dominance and total obscurity. One smart habit to develop revolves around making sure you periodically scour the web to verify that your NAP information is correct. Through a combination of business moves and hiccups in web crawlers pulling the wrong information, your business could be misidentified in one or more directories or locales. By making sure that you’re pinging websites with the correct info, you’ll maximize your local SEO potential with search engines and customers alike. One of the easiest ways to earn trust, brand recognition and authority in local SERPs is to maximize the opinions of your customers. There are plenty of ways in which to do this. One common practice is to provide discounts, giveaways or something else of value in exchange for a review left on one of many local review platforms. Another straightforward way is to add a combination of overlay ads, calls to action and other minimally intrusive elements to each page of your website asking people to leave opinions (it can sometimes be this straightforward!). The more feedback you receive from happy customers, the more SEO clout your brand will have in its targeted niches. Now we obviously don’t mean steal literally from your competitors, but there are plenty of opportunities out there to leverage their hard work into benefits for yourself. One common tactic is to use competitor research tools to uncover which websites are linking back to them – but not to you. With this information in hand, you’ll have plenty of leads for generating new backlinks that can help further build your influence within various local SEO niches. Some common examples of where you can easily build these links is on review platforms, via local business organizations and through local media outlets. In order to truly excel at local SEO, you have to cover the bases first. By shoring up these fundamentals, you can be sure that you’re pinging websites with links, keywords and content with maximum efficiency. What other tactics have you used recently to augment your local SEO strategy? Leave us a comment below and let us know what has worked (and hasn’t) for you.